It appears shorter is in for fall. Kelly Ripa debuted her shorter, new do on LIVE this week. 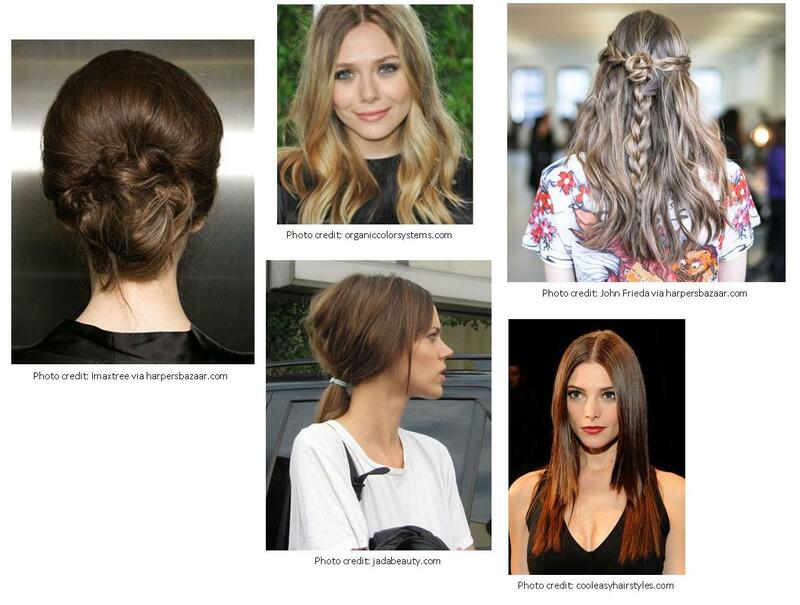 Other fun styles to look for this fall are even more braids, low pony tails, stick straight, the deconstructed/messy bun, and looser waves. What trend will you be sportin’ this fall? Try pairing the above with a messy topknot. The above two would look great with straight hair or beach waves. Either style will sure to be a hit! What’s your go-to hair accessory? Nothing kills a good outfit more than a bad hair day… ok and bad shoes! But since I have to focus on one, I’m going to highlight my own personal battle against frizz. I have thick, straight hair and no matter what mother nature throws at me, she wins. I can’t imagine the money I’ve spent over the years on products that failed. So when I started seeing the multiple ads and reading rave reviews of the various Living Proof products, I was curious. You may have seen the ads with the trademark frizz symbol. At first I was reluctant to spend that amount of money on a product ($10 each for 2 oz shampoo and conditioner; $14 for 2 oz styling treatment), but I figured if this really works, it could save me money from buying the hundreds of other trial products. As much as I love summer… I do love sweatpants and a hoody, skinnys and knee boots, a trendy scarf paired with a classic trench… and staticky hair?!?! Seriously, why oh why does one have to deal with static? I mean if its not frizz from humidity, its static! I’ve tried it all. From dryer sheets to creams to hand lotion… yes I said hand lotion. But NOTHING seems to work.